Howard E. Woodward, Jr. of North Manchester, Indiana passed away at 5:50 a.m. on Saturday, February 9, 2019 at Peabody Retirement Community in North Manchester at the age of 74. He was born on May 17, 1944 in Urbana, Illinois to Howard Eugene Woodward and Doris (Wright) Woodward. His parents moved to the North side of Dewart Lake in 1948, thus Howard, in 1949, started first grade with the Milford Public School System, graduating in 1962 from that same school building on Emeline Street. He enjoyed being a student, receiving a degree in mechanical engineering from Purdue University in 1965 followed by a Master’s degree in electrical engineering from Northwestern University. Howard did desire to continue his education, wishing to study Atomic Energy, but ran out of time in his life. Upon graduation from Purdue, he worked for Bell Labs, Aurora, IL. Among his notable achievements there, were assisting in the development of the original integrated circuit boards and later early Random Access Memory (RAM) Modules for the burgeoning computer systems. He later transferred to Pacific Telephone Company where he was responsible for maintaining long distance circuits into and out of central Los Angeles. While in Southern California, he left Bell moving to Hughes Aircraft in Culver City, CA, and later Van Nuys, developing defense system electronics and weaponry guidance systems that were notably used in the Gulf War and finally on to running their IT Department. In 1992 Howard left Hughes Aircraft, moving back to Indiana to fulfill his dream of returning to the lake life he enjoyed while growing up. 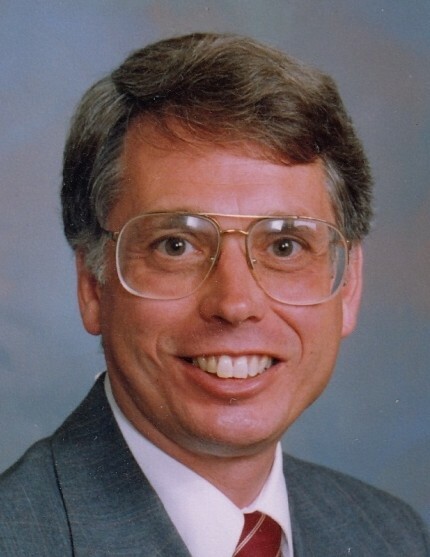 Upon his early retirement, Howard invested in real estate and returned to school, attending Indiana University Fort Wayne, earning an MBA and applying his knowledge of the aerospace and tech industry toward the stock market. Howard served the community as past treasurer of the Kosciusko County Democratic Party, Chapman Lake Conservation Association and the Peabody Foundations. He was past director of the Lakeland Art Association, a member of the Warsaw Kiwanis Club and the Milford High School Alumni Association. Howard was a man who loved to learn and to serve the community. He will be dearly missed by his family and friends and colleagues. He will be lovingly remembered by his son: Scot Woodward, PhD Mathematics (Sunnyvale, California); three brothers: Richard Woodward (Fort Wayne, Indiana); Bruce (Rebecca) Woodward (Warsaw, Indiana); Joseph (Colleen) Woodward (Mishawaka, Indiana); two sisters: Marilyn Woodward (Kingston, Washington); Carolyn (James) Garrigus (Laurinburg, North Carolina); and his step-mother: Wanda Coates Woodward (North Manchester, Indiana). He was preceded in death by his parents. Visitation will be held on Thursday, February 14, 2019 from 4:00 – 7:00 p.m. at Redpath-Fruth Funeral Home, 225 Argonne Road, Warsaw, Indiana. His funeral service will be conducted at 10:00 a.m. on Friday, February 15, 2019 at Redpath-Fruth Funeral Home and officiated by Chaplain Denise Schwaberow. Burial will follow with a private graveside service at Oakwood Cemetery of Warsaw. Memorial donations may be directed to Chapman Lake Conservation Association, Inc., c/o Howard Woodward, Jr., P.O. Box 776, Warsaw, Indiana 46581 and would be appreciated by the family.